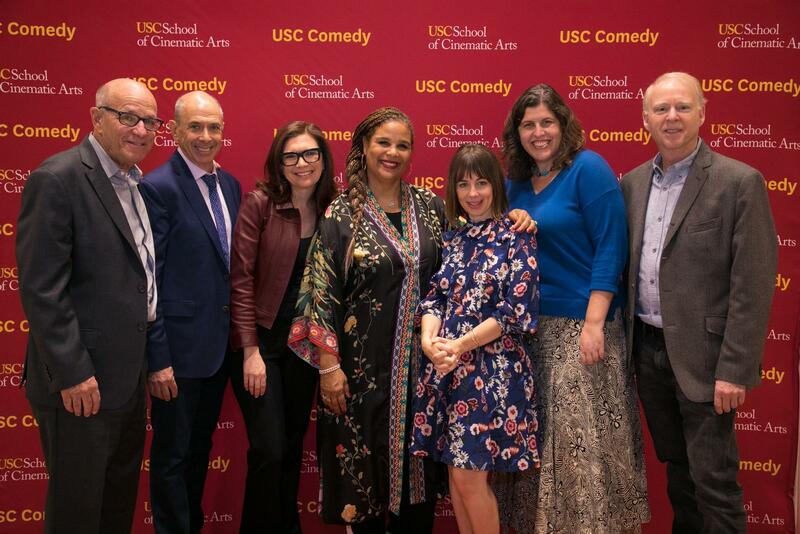 “Women Running the Show” kicked off the Saturday November 3rd lineup of the fourth installment of the USC Comedy Festival. 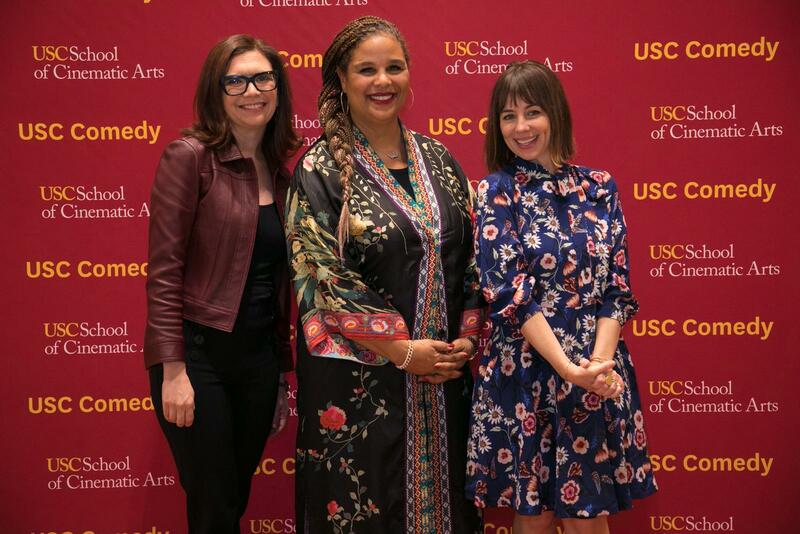 Held at the Ray Stark Family Theater at the School of Cinematic Arts the panel featured three prominent show-runners: Yvonne Lee Bowser (executive producer of Netflix’s Dear White People), Natasha Leggero (co-creator and executive producer of Comedy Central’s Another Period), and Gemma Baker (co-creator and executive producer of Mom on CBS). The discussion, moderated by SCA alumnus Joanna Cherensky, was insightful, inspirational, and informative about the ever-changing voice and influence of television with the panelists telling stories about their experiences—from how they came to find their own writing voices, to making the transition to a management role, to advice for other women hoping to break into television. Leggero joked she once had a young assistant who wanted to be a showrunner without having done any of the work leading up to the position. “You can’t just want to be in charge. It is about writing, producing, working in collaboration with one another,” she said. “I was so excited to just be writing, I was so excited that when I went to Warner Brothers my pass worked,” Baker added: “I gained the confidence with time and experience to believe that I could run a show.” For Bowser, becoming a showrunner meant creating her own working environment. 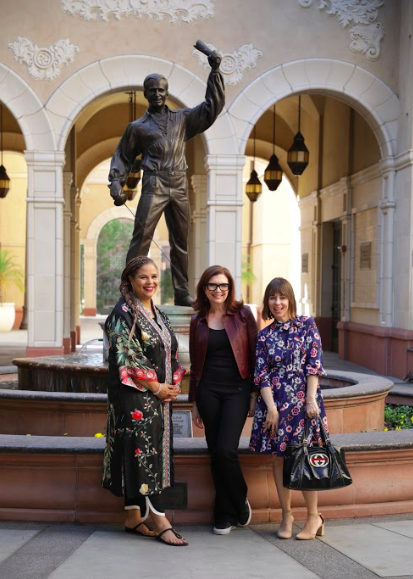 “Being a showrunner is very different from being a writer,” she said. “It is like running a business, and I had to combine my writing skills with my management skills.”. When asked what they look for in potential employees, Leggero joked: “We all have a ‘no a**holes’ rule.” “It is great to have funny people, but also people who are kind and work together,” Baker said. Bowser added that it is important to “know what you can add to the room.” Bowser stressed the importance of knowing your own voice and perspective on the world, understanding why it is important, and being able to articulate it. Baker agreed: “We are looking for a strong voice, with heart and perspective, not just someone filling in the blanks." Bowser advised the students in the audience to always “be ready to show someone in a pitch why your show needs to get made. You need to know where your characters are going and have answers for questions.” With every question asked from young filmmakers, Bowser, who has sold over 30 pilots, kept stressing that preparation is key. “There is room for everything right now, it is wonderful and it is overwhelming at the same time. The business is looking for fresh points of view, and knowing why your show matters and being able to express it is key,” she added. Baker also told the students to remember they need to have thick skin when it comes to their work and not take criticism of their writing personally. “I had to learn that there is a difference between real criticism and perceived criticism,” she joked. The overarching message the showrunners wanted to communicate is the immense potential and opportunity that exists in television: “Be willing to make mistakes, but know that now is the time for diverse and authentic voices,” Baker said. Above from left to right: Co-founders of SCA Comedy David Isaacs & Barnet Kellman, Gemma Baker, Yvonne Lee Bowser, Natasha Leggero, Joanna Cherensky, & co-founder of SCA Comedy Jack Epps.